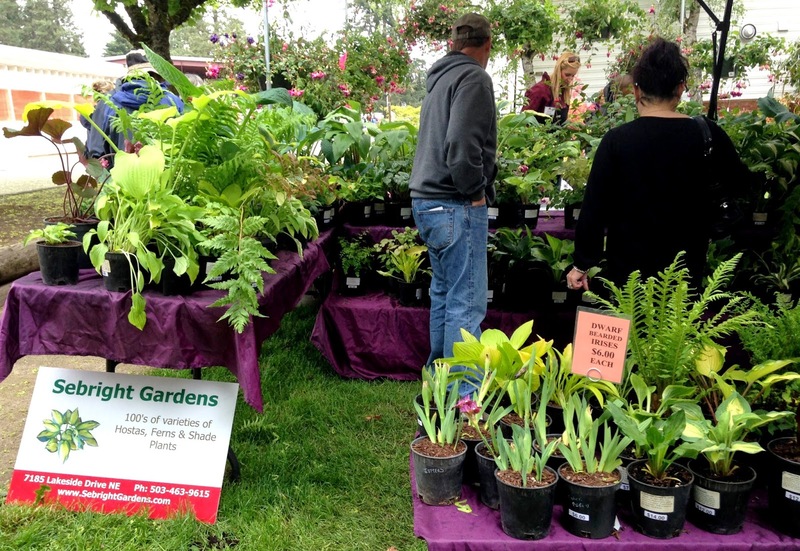 Celebrating their 30th anniversary, the Clackamas County Master Gardener's put on a great plant sale at this year's Spring Garden Fair, held at the Clackamas County Fair Grounds in Canby, Oregon. Some of my favorite vendors were on hand with plenty of stock. 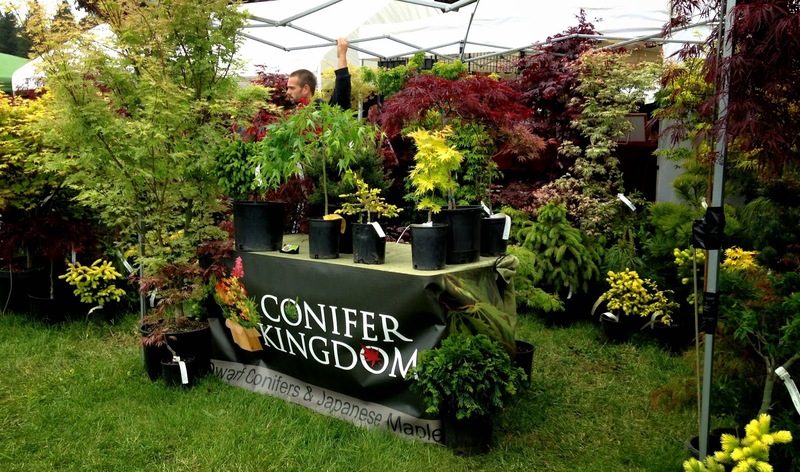 Sebright Gardens, Dancing Oaks Nursery, Wild Ginger Farm, Conifer Kingdom, Out in the Garden Nursery, Highland Heather and Edelweiss Perennials were all on hand to make shopping easy. The local FFA kids from Canby High School, also made shopping a breeze for plant lovers with their plant taxi service. I kept myself in check and managed with a couple of recycled shopping bags. I've never seen so many red rider wagons in one place. Note to self: Get a garden wagon. 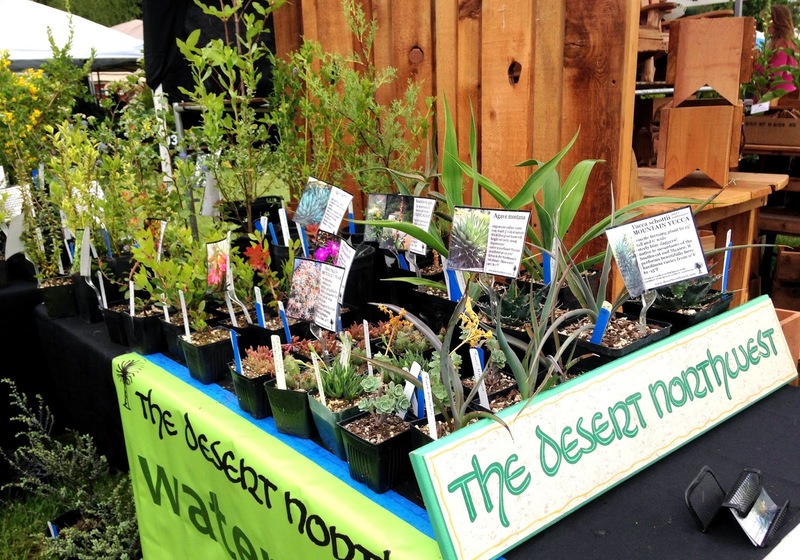 A new nursery attending the show was The Desert Northwest Nursery. Now, garden blogging buddy Loree has raved about this vendor before, so I knew he was worth a stop and drool. Honestly, I could have spent my entire plant budget at this vendor. 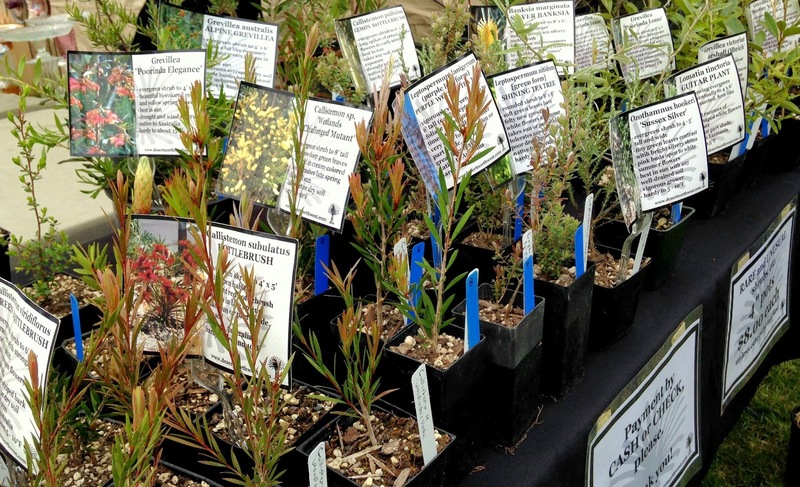 Intriguing and colorful plants that are water-wise and even drought tolerant? Wow. Do I have a spot in my garden for you! I was so curious at all of Ian's plant selections that I went home and directly looked them up online. I'd say a trip to Sequim, Wa. is in my future. As our climate continues to change, these are the types of plants that I foresee becoming staples in Pacific Northwest Gardens, especially as we all continue to (hopefully) reduce how much water our gardens need during the summer months. 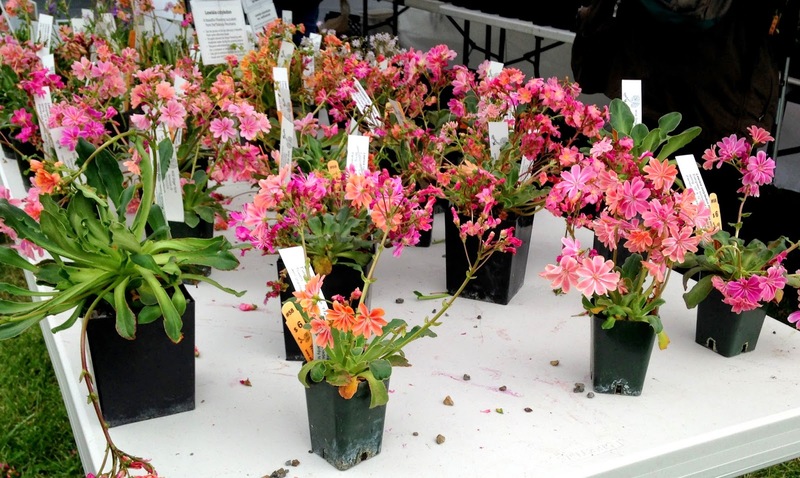 Another vendor that I spent a bit of time with was Wild Ginger Farm, as they had a table full of Lewisia that were calling my name. I have been on the look out for this plant after reading a great write up about them from garden blogger Jane. 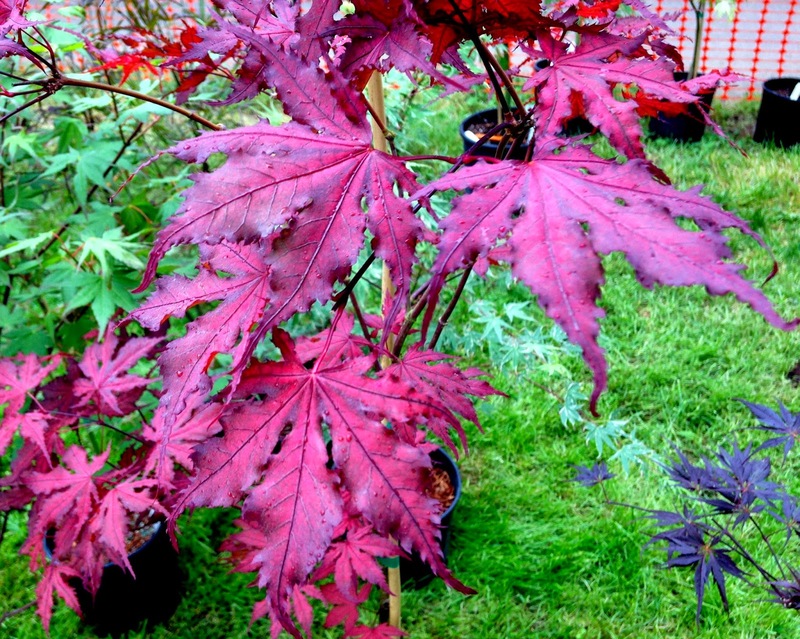 Then, I searched for a specific Acer Palmatum. I found so many beautiful species. Look at this foliage! 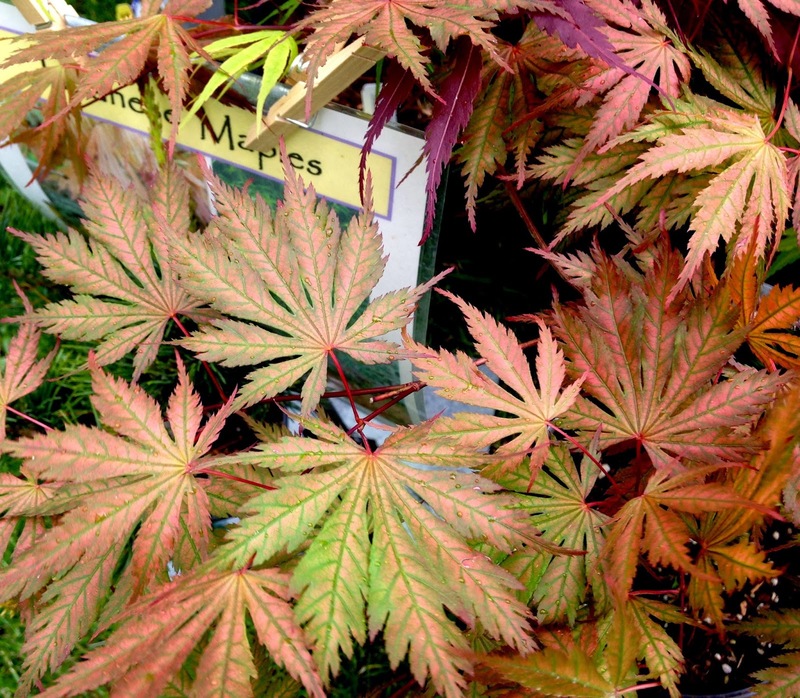 I get so easily distracted with Japanese Maples, but I did find the Acer I was seeking. Unfortunately, by the time I found it, I was out cash. Plant budget spent. However, I might be going back for it tomorrow (sweet talked the husband). I'm that determined to have it (and fortunately do not live too far away from the sale). Well, Dancing Oaks Nursery had something on my list! 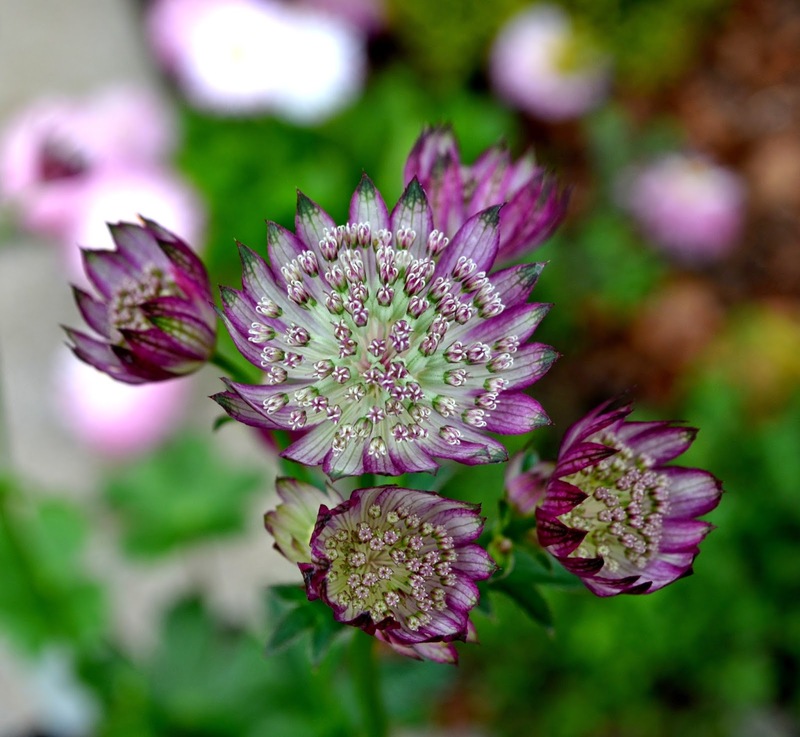 2 Astrantia Major 'Star of Treasure' Masterwort from Dancing Oaks Nursery to match the one I purchased from them last year . 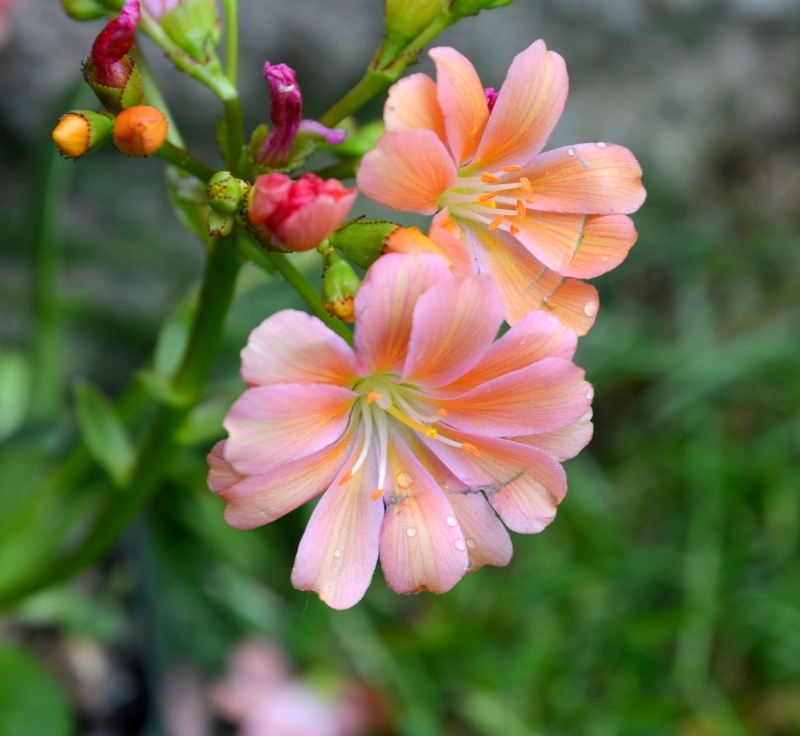 Of course I ended up with some Lewisia. Three of these beauties came of home with me from Wild Ginger Farm. And, as it's native to Southern Oregon, it fit my requirement of adding more native plants to the garden. Double win! Finally, I made one, careful, selection from the The Desert Northwest Nursery. A pretty manzanita called 'paradise'. Perfect for my own personal paradise. This was the first time I was able to attend this plant sale by myself..aka..no ankle biters in tow. It was delightful to buzz around, double back and gawk as long as I wanted to without whining (I mean, darling) children. Despite the threatening dark clouds, the heavy rain held off until near the end of the day. It was breezy but that only added to the excitement of the day. This was my kind of plant shopping. I'm hoping the sale ended up being ok for Ian too. His booth was very well stocked. 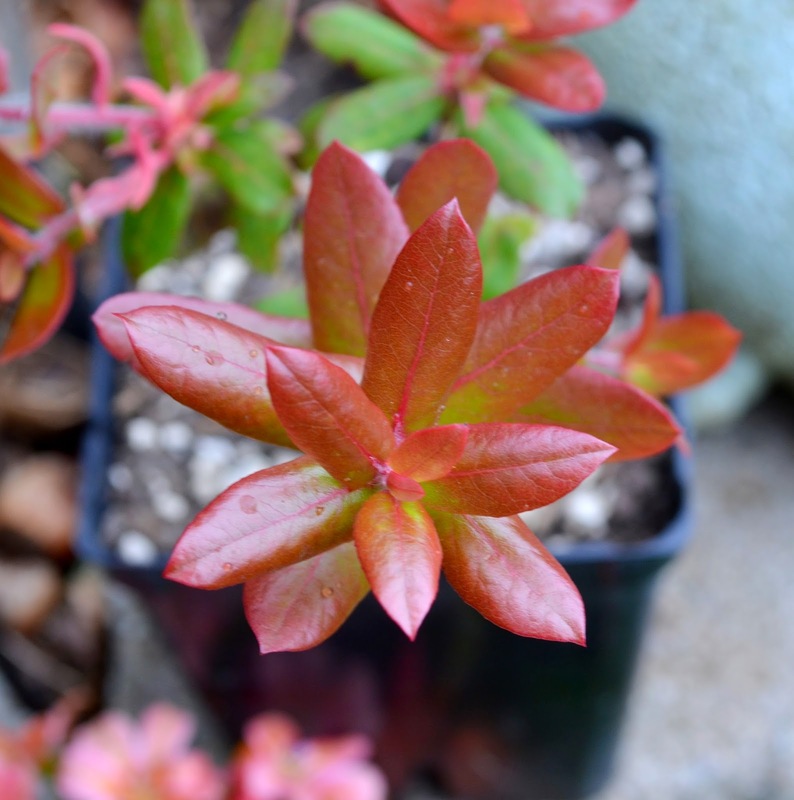 Folks in Clackamas Co. are overall still kinda stuck in traditional 'plant' choices but I see slow change and that's positive :) I hope your trip to Cistus was great! I love going to these fairs.. you were a lot more restrained than I would have been! Also lovely to see all that space in which to browse. The plant fairs here are so very crowded, I have one of those garden wagons and it's a real back saver, but it's also very unpopular because there's never enough room to wheel it around. One of the big advantages to the Clackamas Co. Sale is that there is a lot of space. 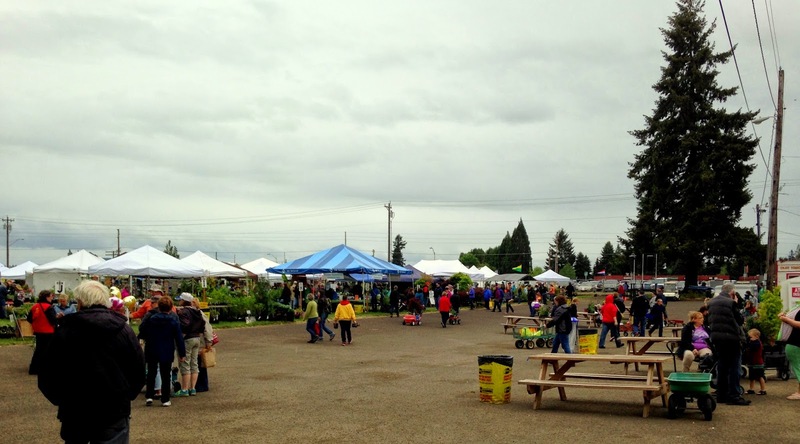 The sale attracts a large number of vendors and you can easily wheel a wagon around. It's a big sale for getting veggie plant starts for people in the area. I held off as I'm not ready to tackle that but I have in the past gotten my veggie starts from there too. So exciting! Glad you enjoyed having it be a 'kids-free day'. LOL. I think you were really restrained in your purchases. I know, it was rather difficult to achieve but I prevailed. I love your selections...so pretty! I don't think I've seen the first two around here. So did you go back today for the maple? I'm glad you'll be able to get the maple. I love your selections. I had to browse through Wild Ginger's website. Lots of cool alpines. My plant lust never lets up. :) Thanks for sharing. Hi Grace, yes, Wild Ginger had a lot of variety and I was so pleased to find Lewisia because after reading a few posts from Jane about them, I was smitten!